Richmond Dental and Medical had the incredible opportunity to explore and learn about the Chinese Dental Market as we participated in The Dental Trade Alliance’s trip to Shanghai, for DenTech China 2017 Congress and Exhibition, sponsored by UBM ShowStar. 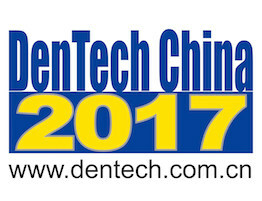 As we met with various exhibitors at DenTech China, we were able to see the latest in technology developments, along with everyday dental supply dealers in the 50,000 square meters of space. There were more than 86,000 attendees and 700 dental companies anticipated, as well as 150 educational sessions. In addition, we were given the privilege of speaking with a number of practicing dentists, visiting a dental clinic and hospital, as well as listening to advice from industry experts. While in Shanghai, we visited with Dr. William Xu, DDS, and CEO of six private dental clinics, DDS Dental Care. While the Chinese dental industry has experienced significant growth over the last ten years, it is expected to continue to grow for the next 20 – 50 years. There are 10,000 private dentists in Shanghai, who see about 4-5% new patients per month. Generally, customers are referrals, from the internet, or Europeans and Americans living in Shanghai. They have a similar fee structure to the US and Canada. They also have payment plans for patients in need. When ordering supplies, the clinic manager at each location will coordinate monthly with procurement to order for the private, group practice. The Dental Trade Alliance was also able to arrange a visit to Shanghai’s 9th People’s Hospital, the leading state owned hospital in China, which is also a part of Shanghai Jiao Tong University, College of Stomatology. This is the #2 dental school out of the more than 50 dental schools in China. Each year, 70 PhDs and 30 MDs graduate. Yun Sun, Vice Director, Dean’s Office, said that 980,000 outpatients came through their hospital. The Commercial Service Section of the U.S. Consulate General in Shanghai explained the registration process with the Chinese FDA, requiring US FDA premarket approval. Class I or II Medical Devices in the US may not be a Class I or II in China. In China, most Class II Medical Devices require clinical trials, which could take 1.5 to 2.5 years and cost from $50,000 to $80,000 USD. Class I Medical Devices in China may take 8 months to translate the documentation and cost $800 to $1,500 USD. For US Companies to begin doing business in China, the regulatory (ISO13584, 510K, CFG) and premarket approval from CFDA must be cleared, along with any trade certificates and compliance, as well as any clinical trials for Class II. We also learned about the challenges in distribution and obtaining contractual agreements with Chinese jurisdiction. Intellectual Property Protection is the second biggest challenge for companies. The USPTO IPR Attache Program has three offices in China to advise and assist US Companies doing business in China. China is the largest patent filer in the world, while trademarks are given to the first to file in China, even if not first to use. Copyrights and products must be registered with customs (GCAC) before doing business in China. US registration does not automatically confer rights in China. It was recommended that IP Counsel in China be hired to provide full range of protection and enforcement. While in the USA, UDI Barcodes may be used, it is best to use QR Codes and Holograms, especially for higher priced items. 3M has developed a special coding system for their devices for each country in which they distribute to prevent rerouted products. Many companies outside of China choose to make their products with localized, Chinese branding so that they do not end up back in the United States. The Chinese Health Care Market is 90% public hospitals and 10% private, which costs $880 billion USD on an annual basis, while the dental service is 70% public hospital and 30% private clinics, which is $12 billion USD annually. Many customers pay out of pocket for dental. Beijing is the leading city in the Chinese Dental Market with 50% of dental chairs being occupied with 70% patient flow, in the public sector for basic and restoration needs, while the other half of the chairs receive 30% patient flow, in the private sector for implant and orthodontic procedures. Annually, Chinese Pharmaceuticals account for $120 billion USD; while Chinese Medical Devices are $190 billion USD; and Chinese Dental Suppliers account for $1.3 billion USD, with 15-20% of the market share being US Companies. The Dental Service Market is $12 billion USD annually including 100,000 dental hospitals and clinics, 2,800 labs and 130,000 dentists. The Dental Suppliers market is worth $1.3 billion USD. Historically, the function of dentistry in China was to prevent and restore; however, now, esthetic and cosmetic dentistry is becoming more innovative with new digital technology and implants. For every 10,000 people in the USA, there are 5.3 dentists, compared to China where there is only one dentist for every 10,000 people. When comparing DSOs (Dental Service Organizations), in the US, they have legal protection and procurement advantages. In China, DSOs have an influx of hot money and a shortage of dentists and patients. The DSO is the first step to leave the public sector before going into private practice. Even though China has only 100 government or publically owned medical schools, they are doing more preventative in the dental public hospital settings, the annual growth is between 25-30% in dental supply. There are many opportunities for US Companies to provide services and products to the Chinese dental market. As dental services are expanding and becoming more available to the Chinese people, the need will continue to grow and evolve for years to come.